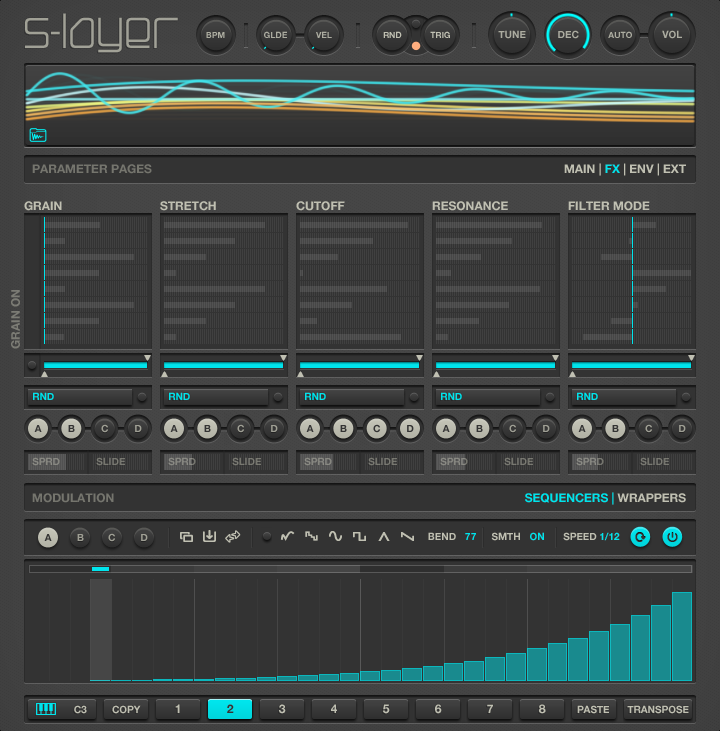 S-LAYER is a sample layering sound creation tool for Reaktor 5 that allows you to create, edit and play new sound combinations. 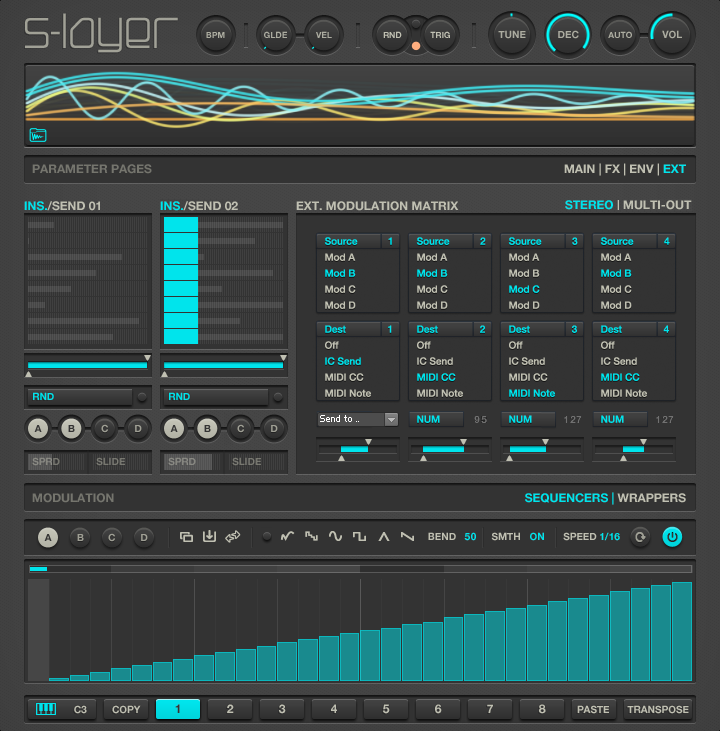 S-Layer is perfect for creating complex drum sounds, impacts, whoosh and pass-by sounds. 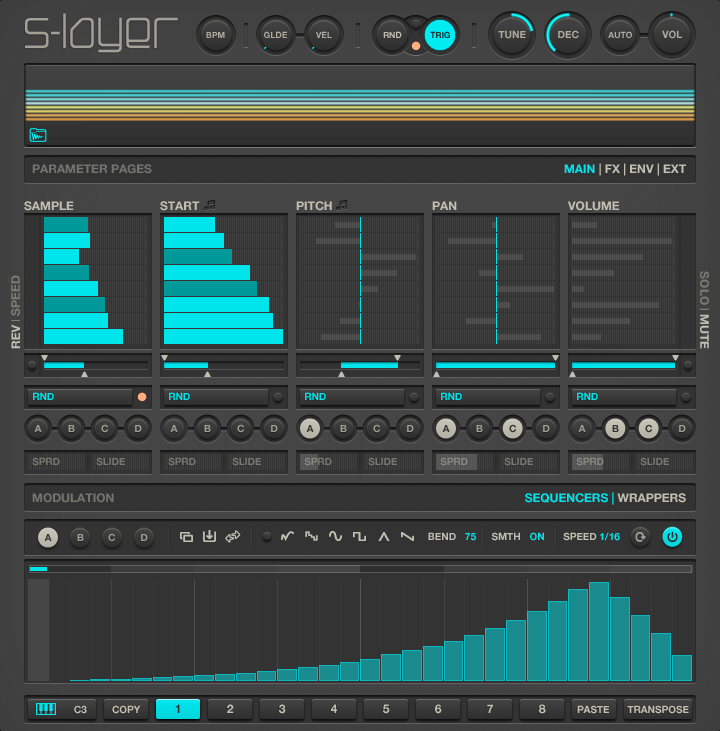 By combining sounds from the included sample map or your existing sample library, S-LAYER facilitates the discovery of new oneshots, sound effects and loops from pre-existing sample content. 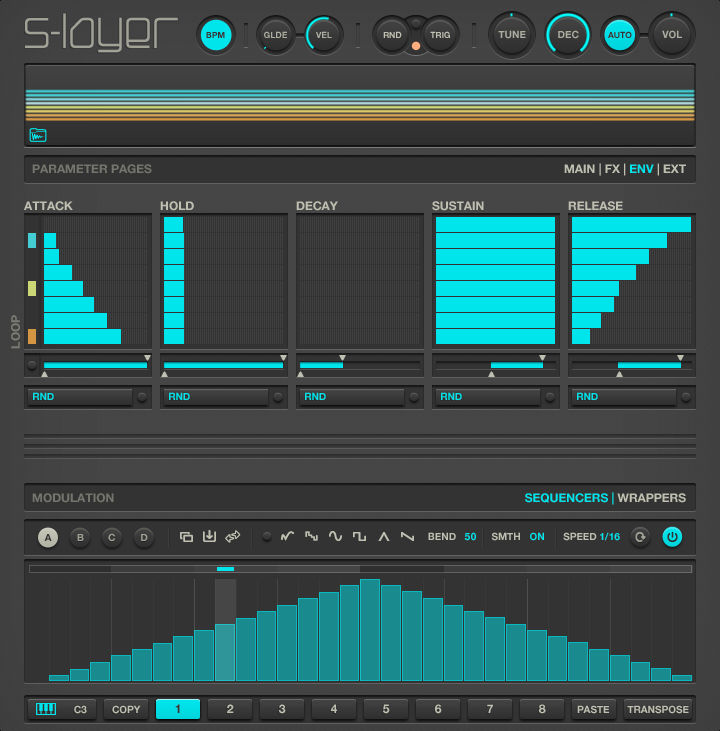 Whether you’re looking for a new way to create thick drum samples for hip-hop or a massive impact sound effect for game, S-LAYER delivers. 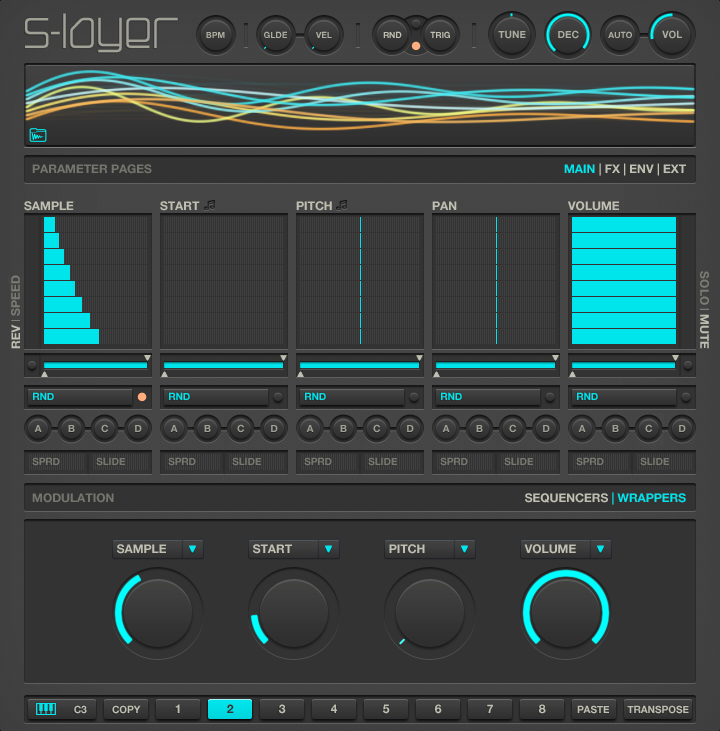 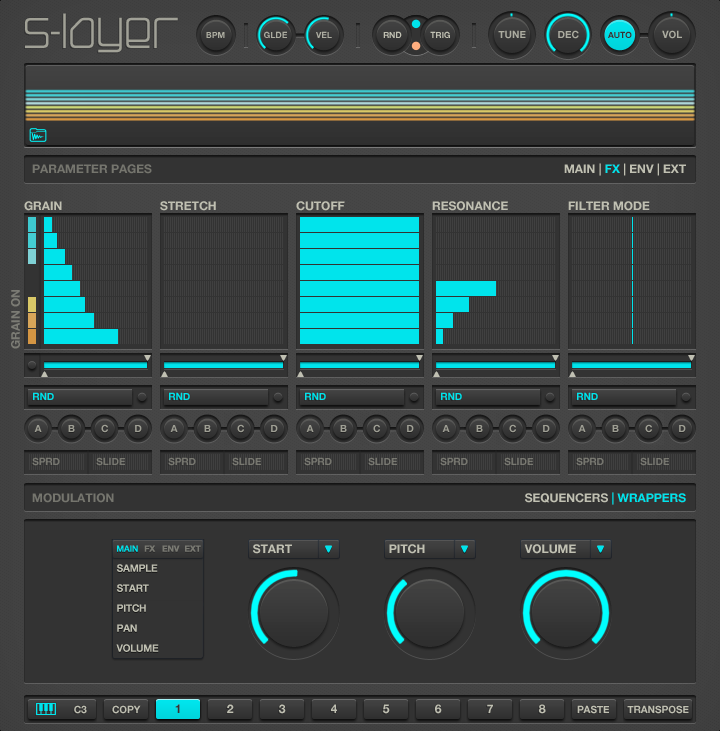 S-Layer is built for Native Instruments Reaktor 5 (Player NOT Supported). 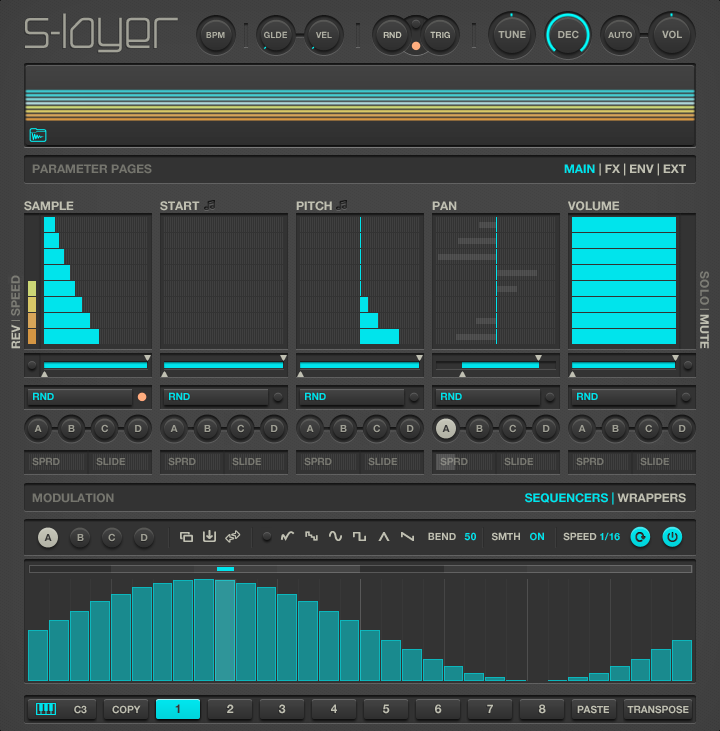 S-LAYER is a sampler that stores up to 128 pre-recorded sounds or sounds that you load. 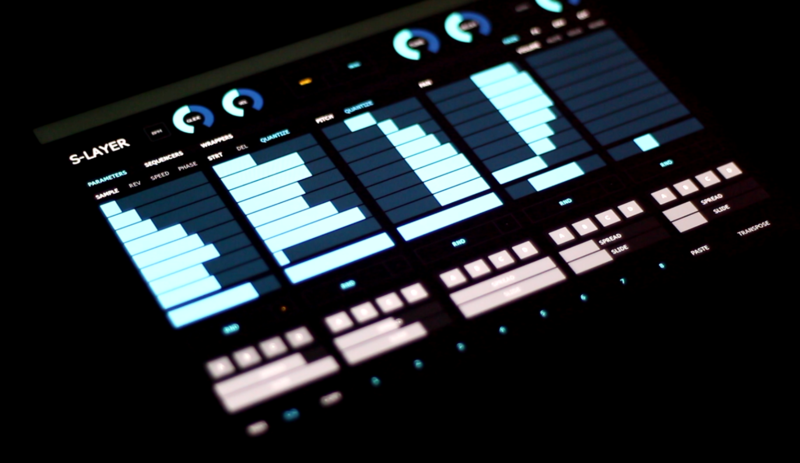 It can be played via MIDI and/or by using your mouse. 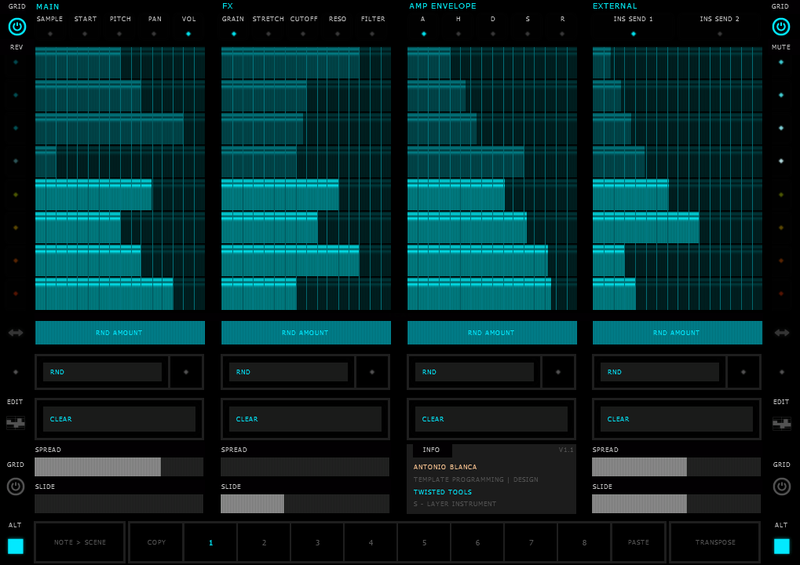 It runs inside of Reaktor in either plugin mode or standalone mode. 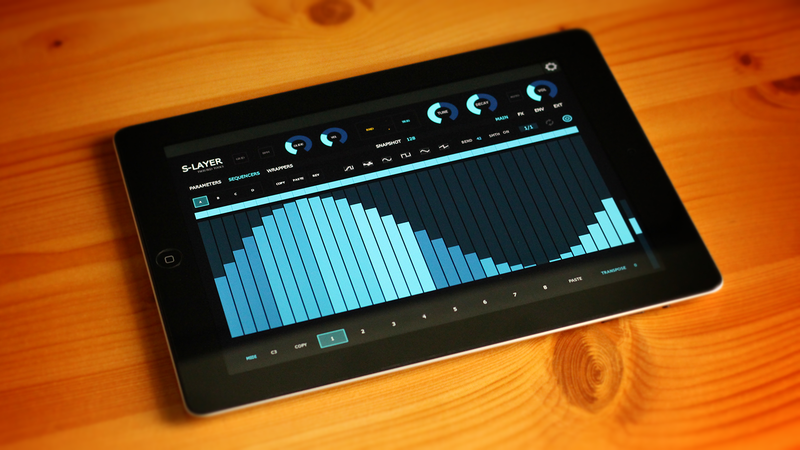 Each time you play a note on your MIDI keyboard or hit the Trig button, up to eight samples from the sample map will be played back simultaneously. 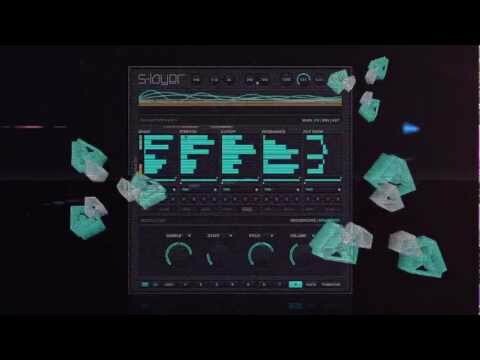 You can randomize or specify which samples play back and then edit each of the layers independently using sliders and toggle controls. 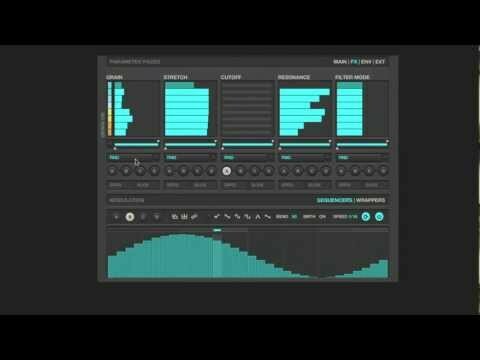 Time-tested sound design techniques such as reversing, pitching, modulating and mixing sounds together can be quickly achieved by randomizing and fine-tuning with sliders and knobs. 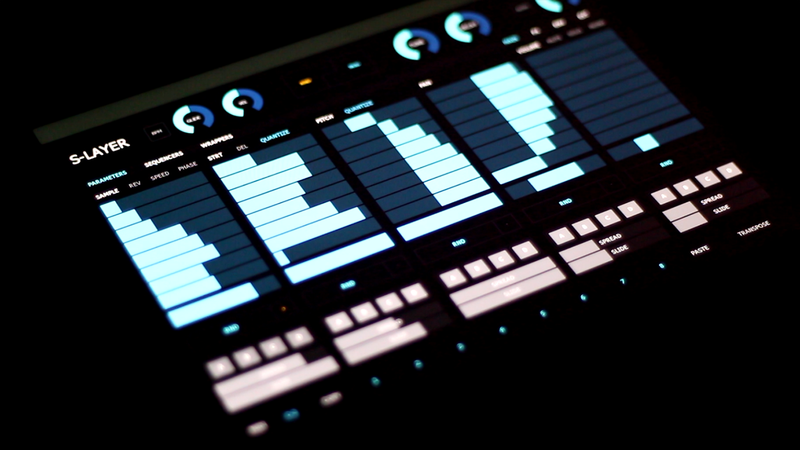 In addition to the on-board granular, filter and time-based effects, you can also connect your own effects using the insert/send system or by using the direct outputs. 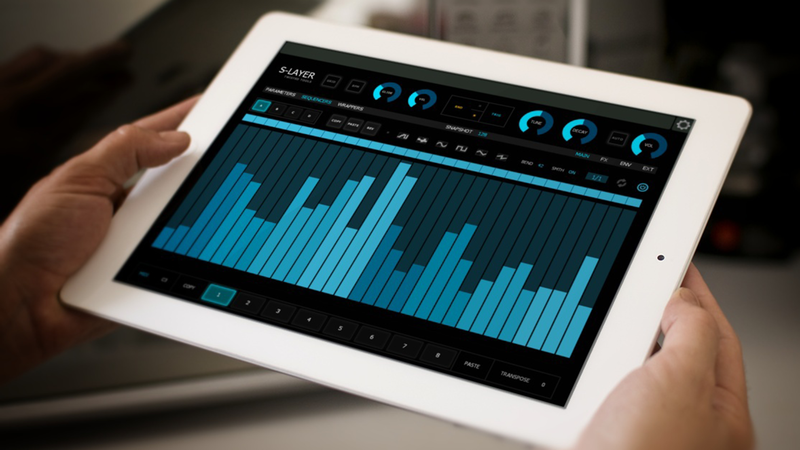 Once you’ve found a sound combination that you like, you can store it on-the-fly in one of eight ‘Scenes’ which can be dynamically played backed and controlled using MIDI. 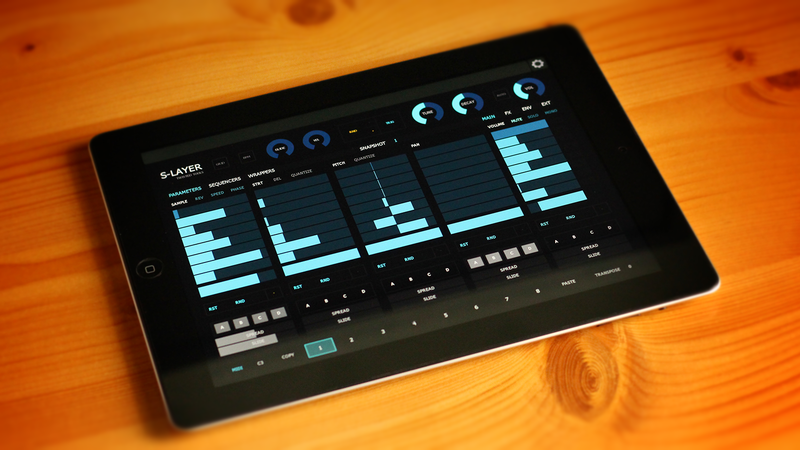 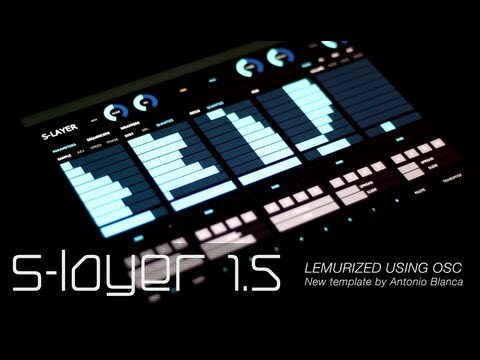 Lastly, S-LAYER comes bundled with an iPad Lemur MIDI template by Antonio Blanca and a MIDI template for Native Instruments’ Maschine MK1 allowing you to remotely control most aspects of the instrument. 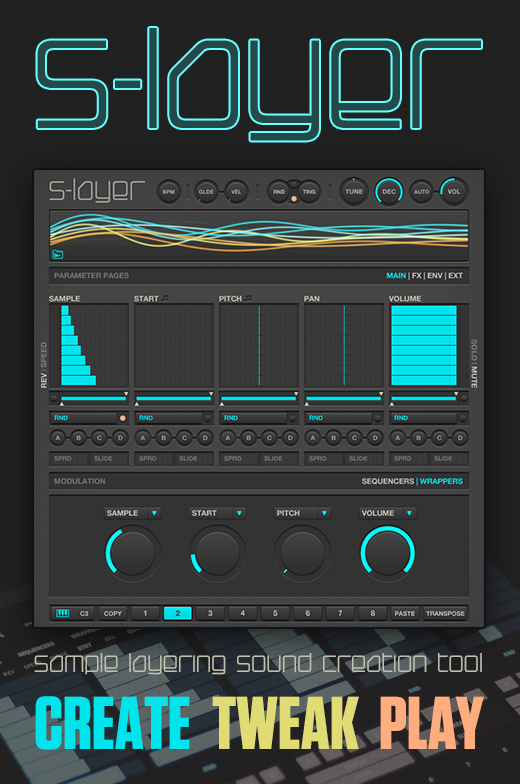 The package size for this download approx. 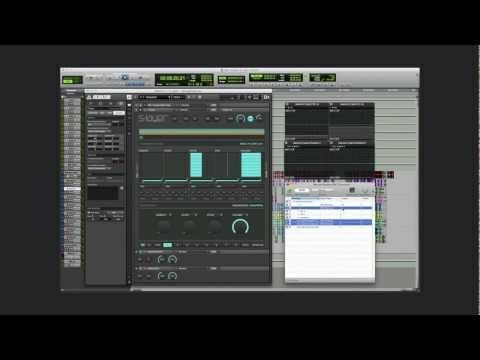 85mb zipped, so please allow yourself ample time to download the file if you are on a slow internet connection. 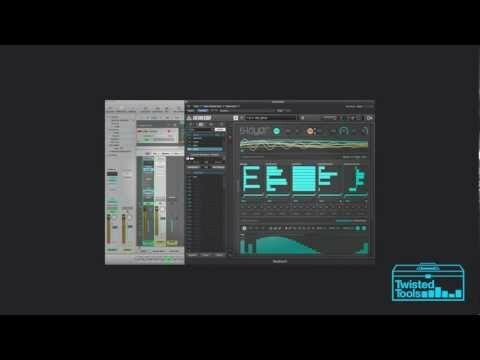 On a very fast connection, you should be able to download the package in about 3-5 minutes.